Being a client-centric organization, we are engaged in manufacturing, supplying and trading a commendable range of Polycarbonate Roofing Sheets. 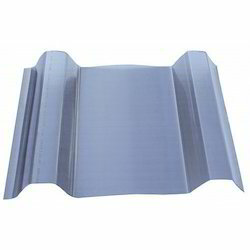 Applicable to be installed in sheds, shelters, canopies, domes vertical glaring, and walkways, our offered sheets are manufactured using polycarbonate that is sourced from authentic vendors. 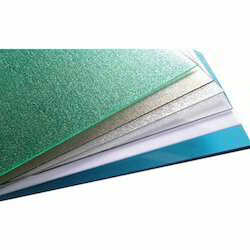 Further, we offer custom-made solutions by offering these sheets in various specifications. With its sturdiness, durability and dimensional accuracy, the offered range of Polycarbonate Sheets is known to be amongst the finest that are available in the market. Manufactured in accordance with the set industry norms and guidelines, its quality never deteriorates. Polycarbonates used in engineering are strong, tough materials and some grades are optically transparent. They are easily worked, molded and thermoformed. Because of these properties, polycarbonates find applications in many areas. Available in both plain and profile forms in all thicknesses on order.